Our 365 acre farm has been in the family for three generations. 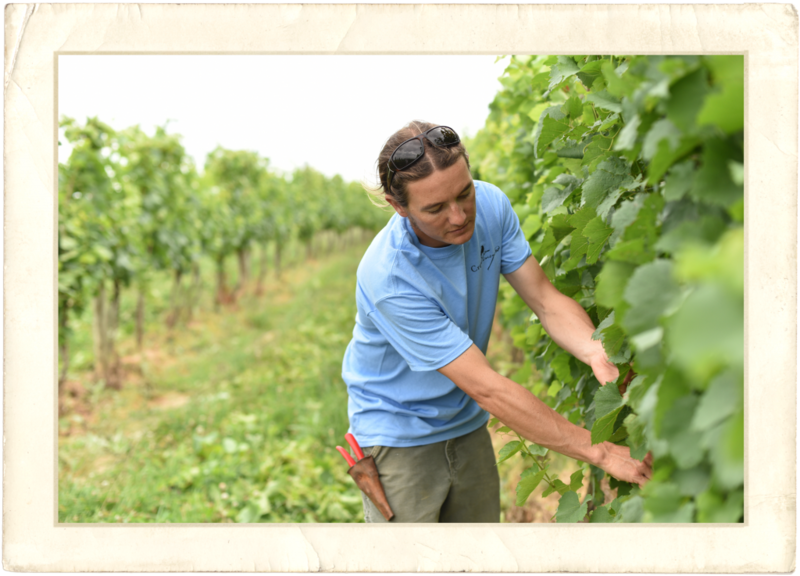 The twelve acre vineyard is managed by Brandon Hoy using natural and minimal intervention practices. The existing crow farm lands were nitrogen rich with organic matter and have helped to prepare optimal soils for our vineyard. We practice minimal intervention in the vineyard which helps us maintain the quality of our grapes for winemaking. Humid; ventilation provided by cooling breezes at night as our vineyard is situated on a wide open knoll, 75' above sea level which is one of the highest points in our area.